The PlayStation 4 is alive and Sony is spilling all the important information on it right now in New York. Many of the rumors we heard in the run up to today’s event seem to be ticking off, like a grocery list: sharing, cloud gaming, that funky controller. With Sony’s new vision, the company touted the PS4’s specs, which will help developers create much more immersive experiences for gamers. 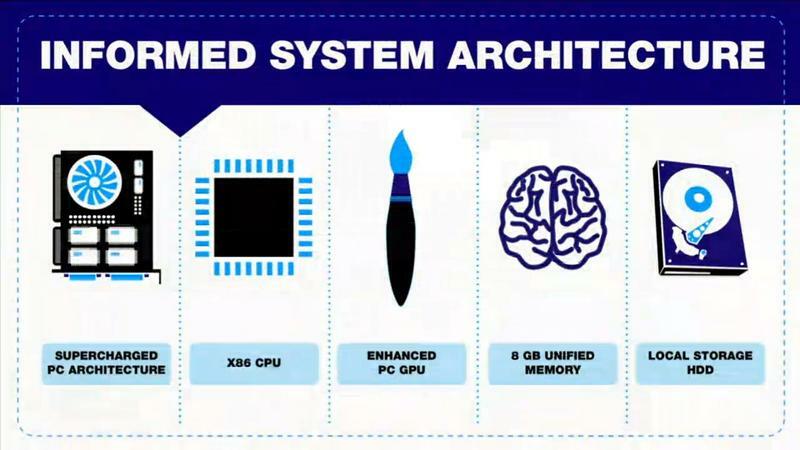 Sony said the PS4 is based on a supercharged PC architecture, x86 processor, enhanced PC GPU and 8GB of unified memory. The company demoed how the console will handle tasks and graphics and everything looked impressive. We still have our eyes on the event so stay tuned for more information on the new PS4. 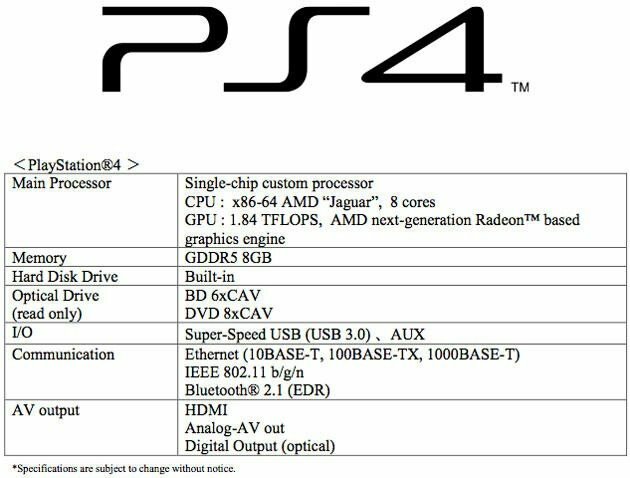 UPDATE: Sony has released the official specs.